Aspen Journalism is supported by individuals and foundations who appreciate the importance of good journalism. In the interest of transparency we disclose all donations by name, the date of the donation, and the amount. The NewsMatch program, funded in part by the MacArthur Foundation, the Democracy Fund, and the Knight Foundation, will match up to $25,000 in donations made to Aspen Journalism by Dec. 31, 2018. 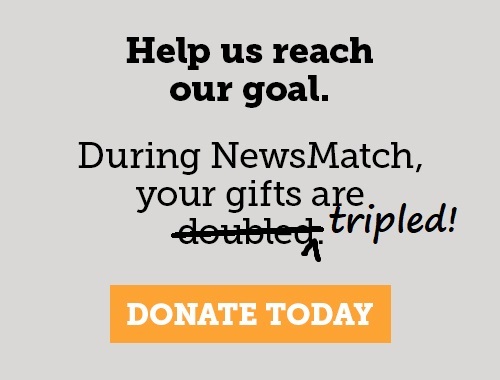 A growing list of local philanthropic donors are also matching donations to Aspen Journalism during NewsMatch 2018.